This 4-star property is housed in a beautifully restored 19th-century building, only 200 metres from Warsaw's popular Nowy Świat Street. 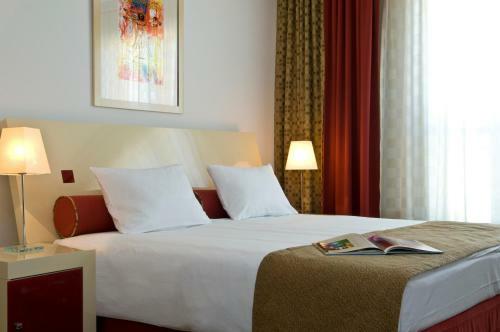 It offers luxurious suites with free internet and DVD player. 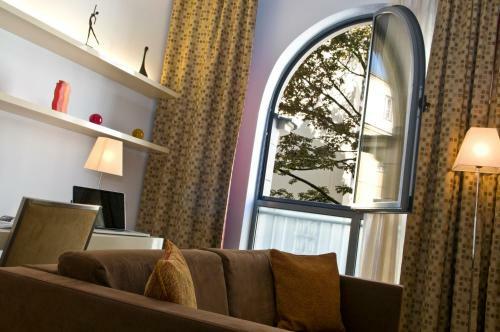 Mamaison Residence Diana offers stylishly furnished rooms with a fully equipped kitchen area, a living room and a work space. Front desk staff and concierge services are available 24 hours a day. Guests can leave their luggage in the storage room, as well as receive tourist information from the staff. 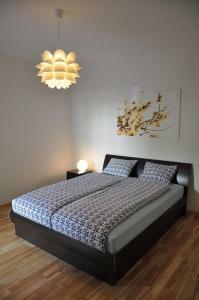 Holiday apartment 286756 RRR Ladislaus IV Vasa (M23) is a 35 square metres (376.6 square feet) Studio apartment located on Chmielna in Warsaw. Please check the map for the exact location. 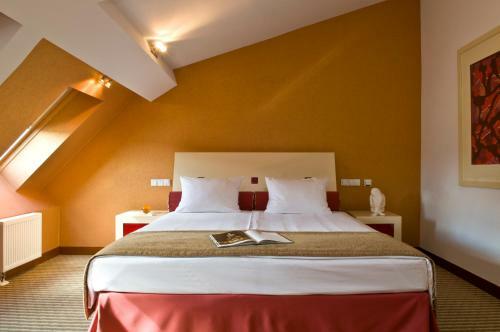 Mamaison Residence Diana price per day from 241 This 4-star property is housed in a beautifully restored 19th-century building, only 200 metres from Warsaw's popular Nowy Świat Street. 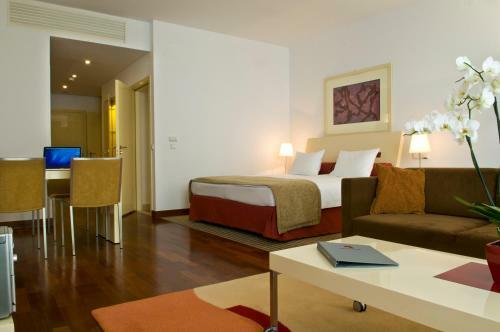 It offers luxurious suites with free internet and DVD player. Mamaison Residence Diana offers stylishly furnished rooms with a fully equipped kitchen area, a living room and a work space. Front desk staff and concierge services are available 24 hours a day. Guests can leave their luggage in the storage room, as well as receive tourist information from the staff. 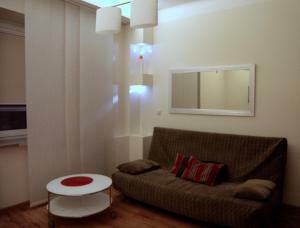 Heart of Warsaw - Apartament Chmielna 6 price per day from 200 Offering free Wi-Fi and cable TV, Heart of Warsaw - Apartament Chmielna 6 is located in the very city centre, next to the popular Nowy Świat Street leading to Warsaw’s Old Town. The bathroom at Chmielna 6 is equipped with a shower. Restaurants, bars and shops are available in the area. 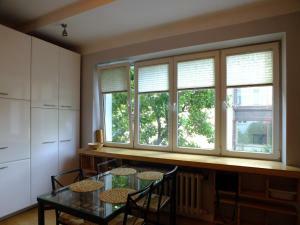 3 km away from Heart of Warsaw - Apartament Chmielna 6. 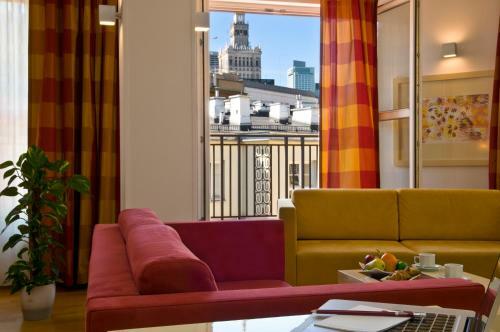 Eden Apartment Krucza price per day from 200 Located in the heart of Warsaw, 350 metres from a lively Nowy Świat Street, Eden Apartment Krucza is a design studio apartment offering free Wi-Fi. 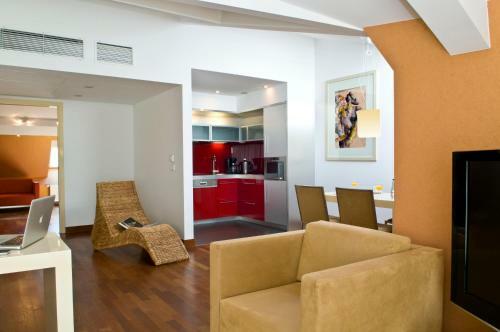 Eden Apartment Krucza is modernly furnished and decorated in bright, lively colours. It features a flat-screen TV, a fully equipped kitchenette with a fridge, a cooktop and an electric kettle, and a bathroom with a shower. 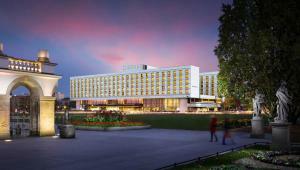 Centrum Metro Station is located 400 metres from Eden, and Warszawa Centralna Train Station is 500 metres away. Restaurant Spring Roll Asian Cuisine, Warsaw Guest reviews: 9/10 ~ 0,1 km from Mamaison Residence Diana Address: Szpitalna 3 street, 00-018, Warsaw. Cuisine: Asian. 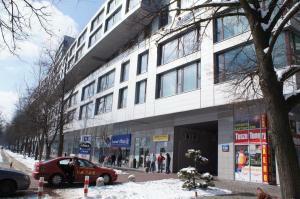 Restaurant E. Wedel, Warsaw Guest reviews: 8,8/10 ~ 0,2 km from Mamaison Residence Diana Address: ul. Szpitalna 8, 00-031, Warsaw. Cuisine: Dessert. Restaurant Brooklyn Burgers & Wings, Warsaw Guest reviews: 8,8/10 ~ 0,2 km from Mamaison Residence Diana Address: Nowy Swiat 36, Warsaw. Cuisine: American. Restaurant Specjaly Regionalne, Warsaw Guest reviews: 8,8/10 ~ 0,3 km from Mamaison Residence Diana Address: Nowy Swiat 44, 00-363, Warsaw. Cuisine: Polish. 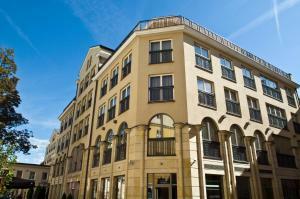 Restaurant Injachi, Warsaw Guest reviews: 9/10 ~ 0,3 km from Mamaison Residence Diana Address: Ul. Widok 19, 00-158, Warsaw. Cuisine: Indian.